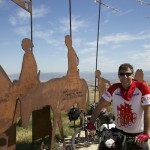 Cyclist on the summit of Alto Del Perdon (‘Mount of Forgiveness’), 780m. 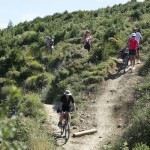 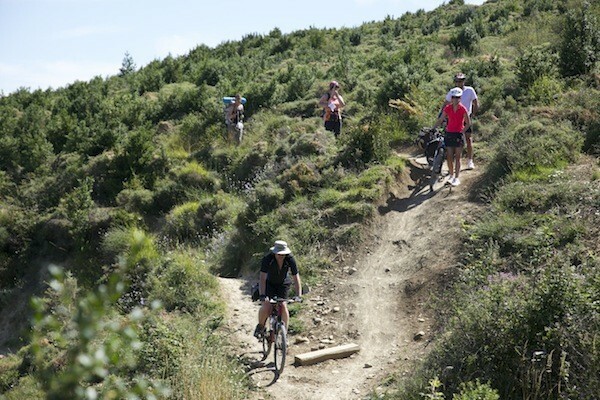 The climb up to the summit is an arduous one for walkers and cyclists and can be quite treacherous if the ground is muddy after heavy rains. 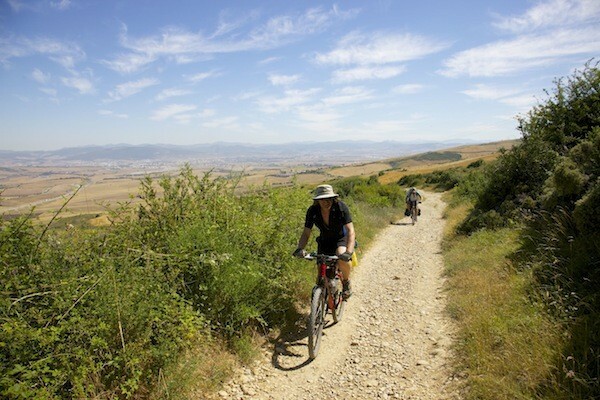 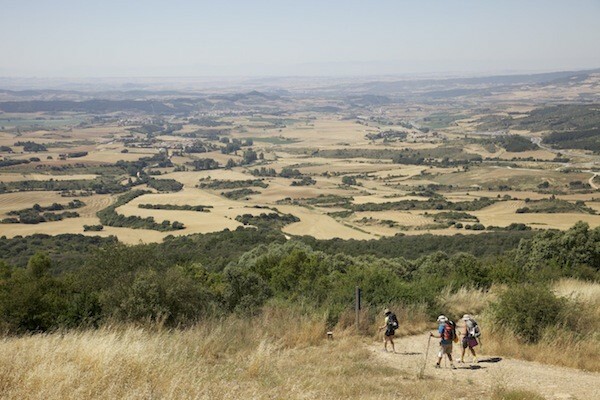 The views however are well worth the effort involved as you get extensive panoramic vistas all around the surrounding countryside as far as the Pyrenees. 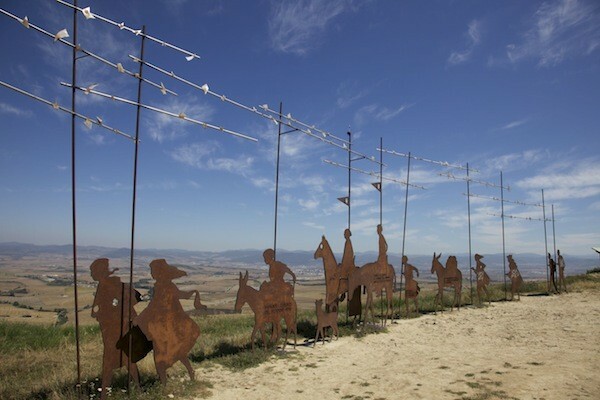 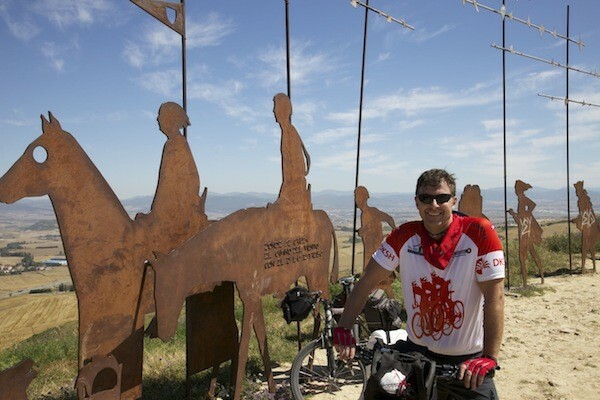 On the summit of Alto del Perdon is an iconic sculpture dedicated to all the pilgrims who walk the Camino Del Santiago. 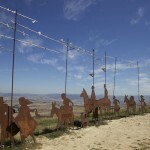 The long metal sculpture representing pilgrims on foot and on horse reflects the historical and eternal nature of the walk. 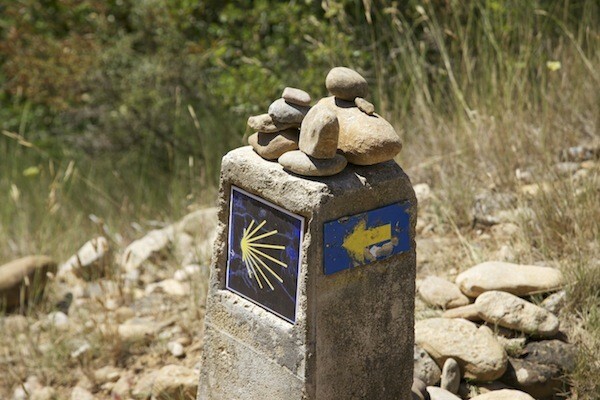 There is a Spanish inscription on it “donde se cruza el camino del viento con el de las estrellas” meaning “where the path of the wind crosses that of the stars”. 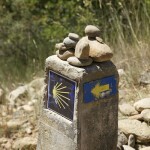 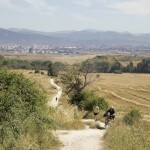 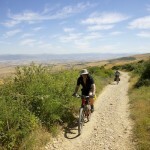 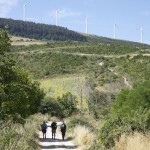 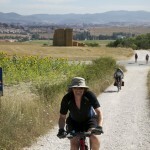 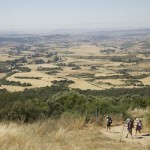 It is one of the great landmarks of the Camino.